This photo was taken at one of the many smaller temples of Angkor Watt. I named it Cross the Threshold, because it seemed like I was taking such a big step in my life - a big threshold to cross! 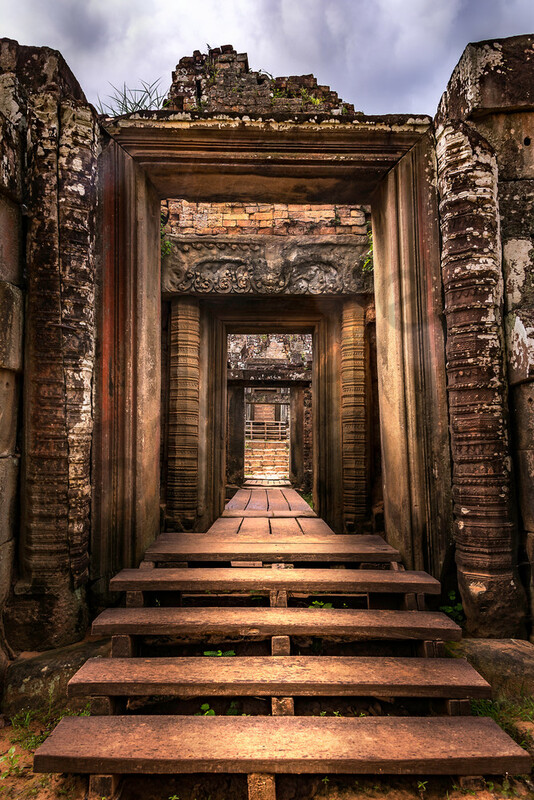 When I was in Angkor Wat, I was entranced by how I didn't just step through one doorway, but there always seemed to be a succession of doorways. It made for some great photos!